Somewhere, probably deep in a desert canyon, a small wind is gathering strength and preparing to tell the world of a new thing. A beautiful thing. Made with love. A mild breeze is more like it, landing softly on your face only to vanish once the lovely scent finds it's way to you. Listen to the wind! Fill your heart with love! - T.G. Explode As A Guitarist, Get The Uncle Tim Series For Guitar Now! We suggest you start with a few articles about playing and practicing and becoming a better guitar player. Then we suggest you take a look at what a world class set of guitar instructional manuals look like by checking out Uncle Tim's Fine Guitar Books below. The menu on the top should give you plenty of ideas for getting to know this site. 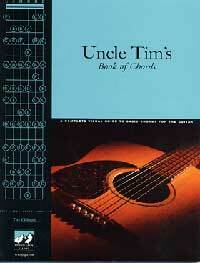 Uncle Tim's First Year, Building Blocks and Book of Chords now available as an on-line eBook! All three books now available as on-line eBooks! Purchase here. 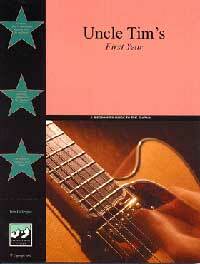 Now you can get the full version of Uncle Tim's First Year, Uncle Tim's Building Blocks and Uncle Tim's Book of Chords Delivered in real time at the time of purchase. Access to Uncle Tim's First Year, Uncle Tim's Building Blocks And Uncle Tim's Book of Chords is just a few clicks away. Not only can you have it right now, but you do not have to worry about shipping costs. This should be of particular interest to those living in the far reaches of the world in need of first class music resources. And the on line versions are in full color too! Purchase using our Instant eBook Delivery System. 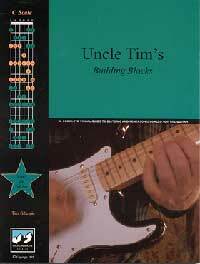 Full version of Uncle Tim's First Year, Uncle Tim's Building Blocks and Uncle Tim's Book of Chords. Click here to use our instant access order system. Get it now! The series starts off with Uncle Tim's First Year. This is a beginner's guide to the guitar. Uncle Tim's First Year is designed to be a complete foundation for all new guitar players. If you are trying to get your skills in place, this is the book to get. This book contains everything a guitarist needs to know in the first year. It is used by teachers as the "go to" guide since it was released. Click the link for complete details. Uncle Tim's Building Blocks and Book of Chords form a complete visual exploration of the guitar for chords and scales. These books are designed to give you quick, complete access to advanced concepts of playing guitar. Click here to see all of our guitar books now. Click here to purchase a guitar book (or books) using our on-line store. 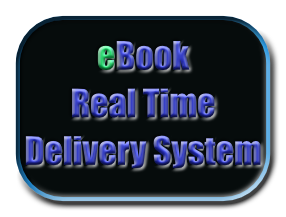 We now have a real time eBook delivery system. Now you can select from our wide variety of eBooks and start enjoying new material right away using our new on line system. All eBooks can easily be printed so you always have a copy with you. Click the image above or this link to visit the real time system now. Note: If you are an existing user and wish to purchase additional eBooks, please login first and then add new products. Thanks. Have You Seen Our On-line Guitar eBooks? Please note: All eBooks are now $9.95. And they can be ordered now with immediate delivery. The link is below. Our eBooks are compatible with any computer with a browser which includes Macintosh, Windows and Linux. The same rock solid theory presented in the Uncle Tim Series is available for a variety of scale and chord progressions. No matter what style of music you are interested in, chances are we have the underlying key based method to support it. Click here to see all of our eBooks now. Click here to purchase an eBook using our immediate access system. Check out our frequently asked questions if you are considering a purchase. Guitar Center going out of business? Read about it here. Visit the article archive and read about musical concepts, practice exercises and the music business in general. These articles are totally free and contain lots of solid information that augments the Uncle Tim Series for Guitar. Inside you can find articles on right hand technique, fretboard technique, scale practice and chord combinations and much more. Remember these are totally free and available just by visiting the archive. There is no need to register or login. Click here to view Uncle Tim's articles now.